The second of two Russians who Britain says was responsible for the poisoning of former Russian spy Sergei Skripal and his daughter was named by investigative website Bellingcat on Monday as a military doctor for Russia's GRU military intelligence. 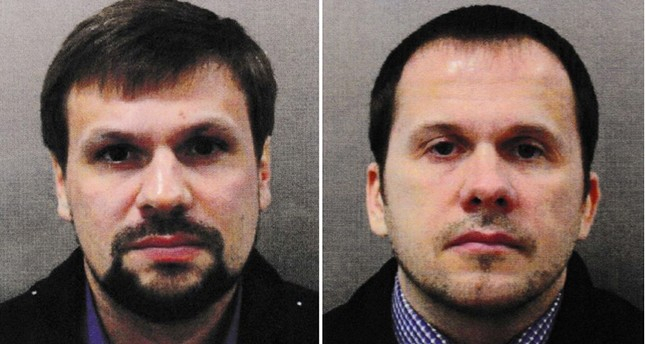 British prosecutors charged Petrov and and another man they named as Ruslan Boshirov with attempted murder for the Novichok nerve agent attack on the Skripals in the English city of Salisbury in March, but said they believed the suspects had used aliases to enter Britain. London police said they would not comment on speculation about the real identities of the two men facing charges, in response to a query about the latest Bellingcat report, and repeated they believed the men had used aliases. "Bellingcat's identification process included multiple open sources, testimony from people familiar with the person, as well as copies of personally identifying documents, including a scanned copy of his passport," the website said. His GRU rank was unknown, it added.